Last week Congress unanimously passed the first federal anti-lynching bill. Perhaps Congressman George Henry White of North Carolina, must have finally be smiling. A Black Indian born to an enslaved woman, little made him smile during the grim days that marked the post-Civil War decades. Strong-willed, eloquent and determined, White devoted his life to educating his people. 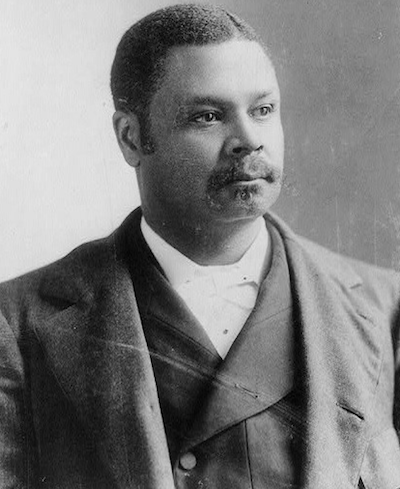 He became a teacher, school principal, and lawyer and in 1896 was elected to the U.S. Congress. During his two terms White spoke as "the sole representative on this floor of 9 million of the [Black] population of the United States." While Congressmen ignored him as they regaled each other with “darky stories” on the floor of the house and in its corridors, he fought on. On January 20, 1900 White introduced HR 6963 the first federal anti-lynching bill. By then an average of three African American men, women and children were lynched each week in the southern states. These festivals of horror and pain drew approving white crowds. Refreshments were served. Lawmen and sheriffs often assisted or led lynch mobs, and southern Governors and Senators offered nothing but praise. No one was ever arrested for this crime. Congressman White compared lynching to treason and HR 6963 mandated the death penalty for those convicted. It died in the House Judiciary committee that year – and that year 105 Black people died at the hands of lynch mobs. In 1898 White wasre-elected. He now stood as the last Black survivor of slavery to hold this high office in the 19th century, and the first in the 20th century. During White's second Congressional term in 1900, North Carolina amended its Constitution to eliminate African American voters and office-holders through a poll tax, a grandfather clause and a literacy test enforceable in 1902. Black people throughout the southern states were being denied any right to run for Congress or other offices. In his last Congressional speech White denounced the use of "constitutional amendment and legislation" and "cold-blooded fraud and intimidation" to deny the right to vote. During the Great Depression of the 1930s President Franklin D. Roosevelt was asked to sponsor an anti-lynching bill. “If I come out for the anti-lynching bill now,” he said, Southern Congressmen “will block every bill I ask Congress to pass to keep American from collapsing. I just can’t take that risk.” Congressman White took that risk over and over again. But his prediction that the South would send others to Congress stalled until the Civil Rights revolution. White's courageous service and his retirement by fire are missing from our school texts and college courses. It is unfortunate so few Americans know this brave freedom fighter. Spreading his story today would make it harder to deny people of color their voting rights.